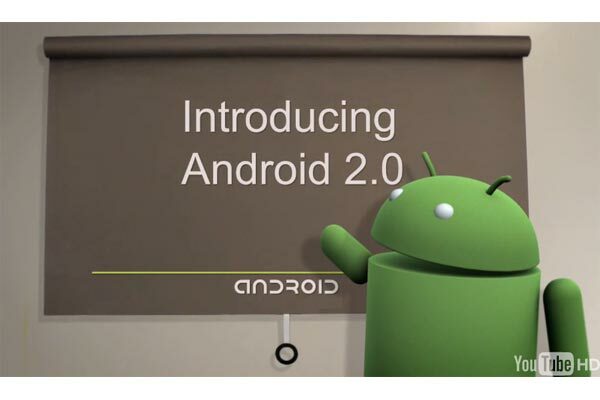 Google [GOOG] has officially announced the latest version of its Android OS, Google Android 2.0 (Eclair), which we told you about previously. Google Android 2.0 has a range of new features, which include new developer API’s for sync, and also includes multiple account support for Google Accounts and Exchange, with a unified email inbox. Other features include a new mobile web browser with a re-designed UI, HTML 5 Support, Bluetooth 2.1 API, two way contacts sync and a macro focus with integrated flash supports for cameras. Google Android 2.0 also features more advanced hardware acceleration for graphics, and also support for multiple display sizes, check out the video below to see what Android 2.0 is all about.